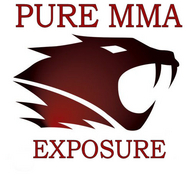 PURE MMA Exposure is designed to promote the up and coming athletes in the MMA community. Being represented by [PME] means that the selected athletes have shown a higher level of skill that makes them unlike the rest. Their dedication and commitment to this sport is why we help expose them.